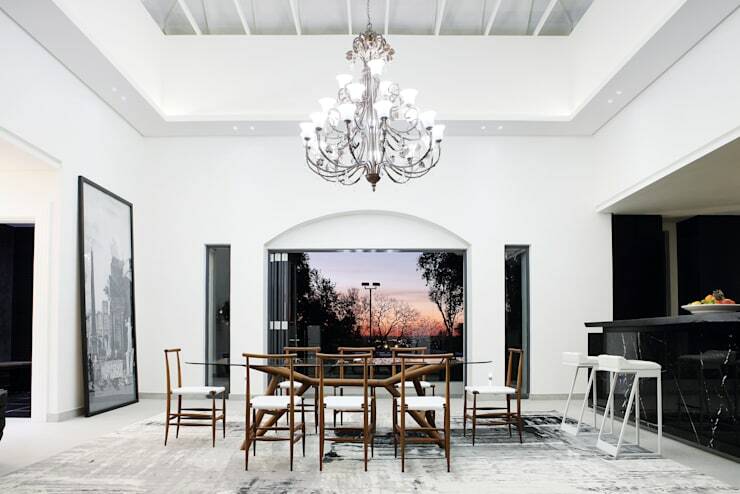 You can never go wrong with a white decor and this beautiful mansion in Johannesburg is a perfect example to it. The house is trendy and certainly has a futuristic vibe that adds so much character and elegance to it. Some rooms are styled to gain a pleasing contemporary vibe, but otherwise, the entire house is designed with a futuristic theme. Let’s take a tour of the house and see how the interior designers have decorated it. The interior designer chose to go for subtle colors like off-white and cream for most of the master bedroom. However, the blue dresser and frame on top of it add character to the bedroom. The guest bedroom decor is very simple and neutral so that it goes with the taste of every guest that comes to live. Four colors are majorly used across the bedroom, with a terrarium on the centre table adding a pop of life. Unlike the rest of the house, which is very futuristic, the dining room gives a slightly Mediterranean vibe. Even though two extreme colors, black and white, are used, the dining room somehow looks composed and relaxing. Since it is a big house, decorating the lobby the best will leave a lasting impression on your guests. 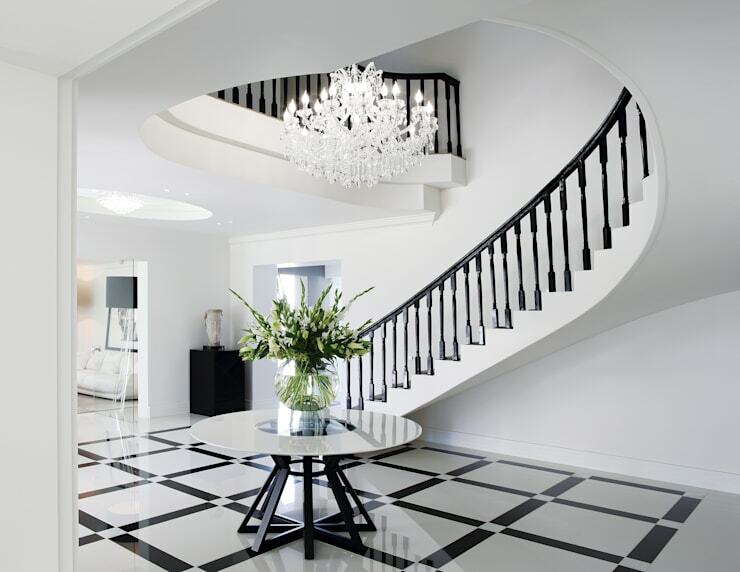 The lobby also has a Mediterranean vibe because of the chandelier and swirling staircase. The living room is a completely different setup as it is very mid-century. Take a look at the three-seater couch and the the huge painting on one of the walls. However, everything else is simple and modern, giving it a futuristic vibe. This is one of the best informal dining area ideas ever. The interior designer chose to keep it very simple and welcoming to ensure maximum comfort. It is inspired by nature, but the black countertops of the kitchen add a modern touch to the dining area. The house has a big office with three wall glasses. Being close to the nature helps you think and work better, which is absolutely what the interior designer was trying to achieve. The dark interiors are brightened by the natural light coming in, so that works out fine as well. Homify has more such wonderful ideabooks for helping you design your own house.